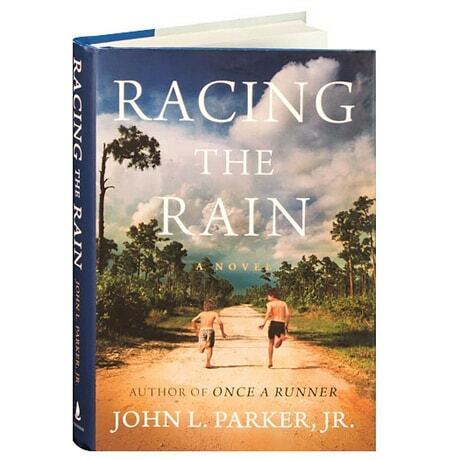 The author of the wildly popular Once a Runner—"the best novel ever written about running," according to Runner's World—and its sequel Again to Carthage, John Parker returns here with a prequel novel, the story of a world-class athlete coming of age in the 1950s and 60s on Florida's Gold Coast. Young Quenton Cassidy's first foot races are with nature itself, in the summer storms that sweep through his subtropical neighborhood. As he explores the primal surroundings along the Loxahatchee River and the nearby Atlantic Ocean, he is befriended by local eccentric Trapper Nelson, "the Tarzan of the Loxahatchee," who shares his view of running as a way of relating to and interacting with the natural world.